October 16, 2013 - Opus Aircraft, LLC, manufacturers of Special Light Sport Aircrafts in Rockingham County, North Carolina to be sold at a Sealed Bid Auction on November 15, 2013 at 11:00 AM in Greensboro, North Carolina. Opus Aircraft Company was brought to the Shiloh Airport in Rockingham County, NC in 2004. Opus Aircraft acquired the manufacturing rights to the British ARV Super2 light general aviation aircraft after the company went out of business. In 2008, Opus received FAA certification and built an "Opus Super 2" prototype. However, the company failed to begin production of the aircraft. 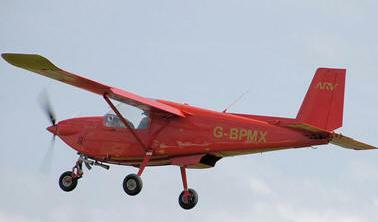 The Special Light Sport Aircraft Super 2 is a two seater, side-by-side, recreational trainer. The all-aluminum airframe plane is easy to fly and economical to operate which makes it extremely attractive to the beginning pilot. Opus Aircraft was designed and created by Sir Richard Novel with the help of British Aerospace (builders of the Concord Airliner). Sir Richard also designed and built the world's fastest car, The Thrust SSC. All assets of the company will be offered for one bid in a "Sealed Bid Format", which includes a completed airplane with air worthiness certificate and current registration, another 98% completed airplane, four partially completed air frames, all structural jigs, all 1/3 million spare parts, all drawings, plans, copyrights, patterns, accessories and equipment. The cost to reproduce all the tangible assets is estimated to exceed $8,000,000.00 US. The last asking price was $2,900,000.00; however, the assets will be sold regardless of price in excess of $199,000.00 which creates one of the greatest opportunities to obtain a complete aircraft manufacturing business. Opus Aircraft has FAA approval and comparable government approval in England, Sweden, France and Canada. The Sealed Bid is being conducted by Iron Horse Auction Co., Inc. as the selling agent for the Seller. Thomas McInnis of Iron Horse Auction Company, Inc. said, "With the Reserve set at $199,000.00 it should be a no brainer to the savvy investor or entrepreneur on the complete purchase of Opus Aircraft with assets valued at over $8,000,000.00. This opportunity is virtually unheard of in the United States."